Magellan (1480-1521) never planned to sail around the globe. His assignment - to reach the Spice Islands, also known as the Moluccas (or Maluku Islands), thereby proving they belonged to Spain - already had more-than-enough challenges. One of the most significant problems was to find a way (safer than sailing round Cape Horn) to reach the Pacific (via the Atlantic) Ocean. In October of 1520, he and his men found such a passageway - between Chile and Tierra del Fuego - known today as the Strait (or Straits) of Magellan. 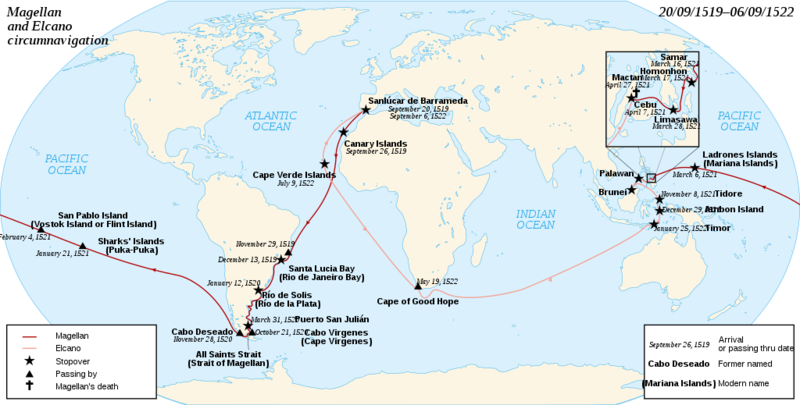 A month later - on the 28th of November, 1520 - Magellan's expedition reached the Pacific Ocean. Because the water seemed so calm (especially compared to the Atlantic), Magellan gave the vast body of water a name which means "peaceful sea." 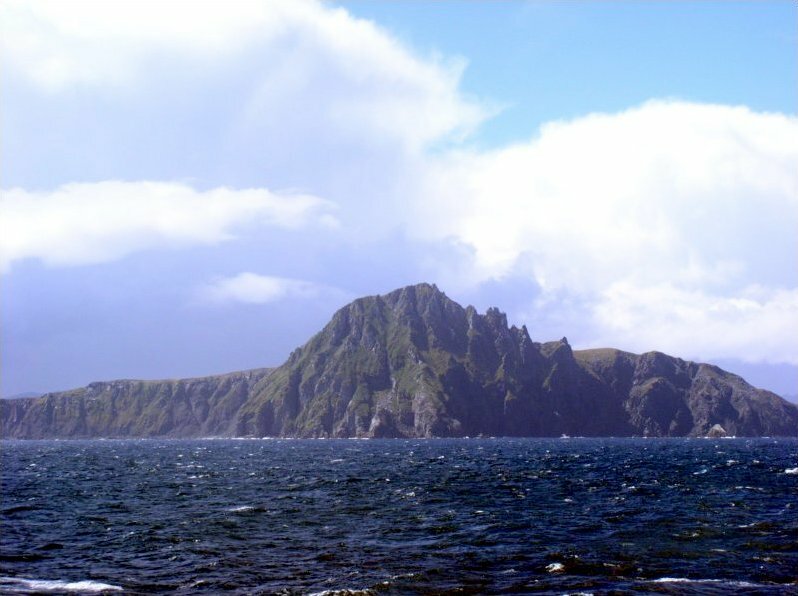 Five ships originally began the expedition - Trinidad, San Antonio, Concepción, Victoria and Santiago - but only Victoria made it back to the starting point. Bos, Carole "Magellan and his Voyage of Discovery - Part 1" AwesomeStories.com. Oct 07, 2013. Apr 19, 2019.